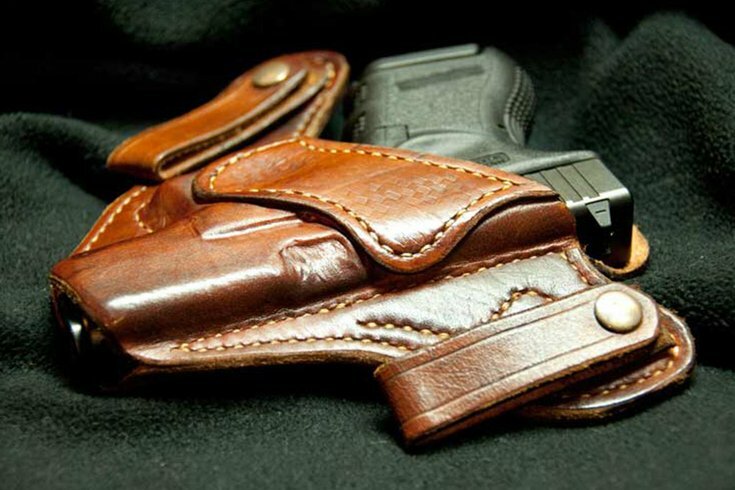 A handgun in a holster. We are now more than one month removed from another horrifying tragedy played out in the classrooms of our sons and daughters. After the Feb. 14 shooting at Marjory Stoneman Douglas High School in Parkland, Florida, it seemed, if only for a moment, that we were finally headed toward meaningful gun reform at the national level. Unfortunately, but expectedly, after a month of hearing the survivors beg for protection, the only thing that has changed is the conversation surrounding the issue. While the majority of Americans continue to cry out for common sense solutions to the epidemic of gun violence in this country, Congress threatens to further exacerbate the problem. In December, the House of Representatives passed the Concealed Carry Reciprocity Act of 2017, a bill which would grant individuals from other states the ability to legally carry and conceal their firearms in New Jersey and elsewhere, even when they would not be able to obtain a permit to do so as a resident of our state. This bill would allow a would-be killer to bring their firearms from one state to another, intent on committing an atrocity like the one in Parkland. In New Jersey, we have committed years of effort to minimizing the risk that an unstable individual could legally obtain and carry a gun in our state. Should Congress get its way and send this bill to the desk of the president, the safety of our schools, theaters and communities would be at the mercy of legislators who do not represent New Jersey's interests. This bill would allow a would-be killer to bring their firearms from one state to another, intent on committing an atrocity like the one in Parkland, and local law enforcement would be virtually powerless to stop them in advance. Police and law enforcement officers already put their lives in jeopardy every day when they interact with suspects. This bill would increase the risk to those sworn to protect us, as they would be forced to somehow differentiate between an out-of-state permit holder, and a criminal with malicious intent. The Bureau of Labor Statistics already recognizes that "police and sheriff's patrol officers have one of the highest rates of injuries and illnesses of all occupations" because of the conflicts they must engage in with criminals. Last year, the Federal Bureau of Investigation (FBI) found that 66 law enforcement officers were killed in 2016 as a result of criminal activity. A firearm was used in 62 of those 66 deaths. With marches and walkouts continuing around the country, the American people are demanding that their voices be heard. The students of Marjory Stoneman Douglas, their parents and citizens across the nation are pleading that we solve the crisis of gun violence in this country. Now is not the time to relax the laws governing how firearms are carried and transported across state lines. Now is the time to act in pursuit of the safety of our families, our friends and our kids. Camden County Freeholder Director Louis Cappelli Jr. is a resident of Collingswood and the architect of the Camden County Police Department. Diana Trasatti is a New Jersey volunteer with Moms Demand Action, a national organization that works with survivors of gun violence.